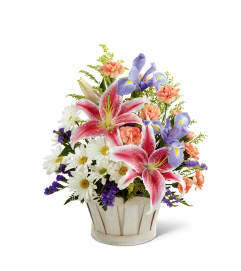 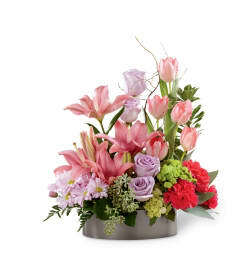 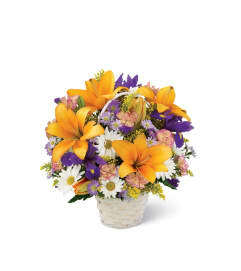 The FTD® Touch of Tropics™ Arrangement captures their every attention with ginger blooms and a modern sophistication. Shampoo ginger takes center stage in this arrangement accented with a variety of lush tropical leaves and accented with curly willow tips. 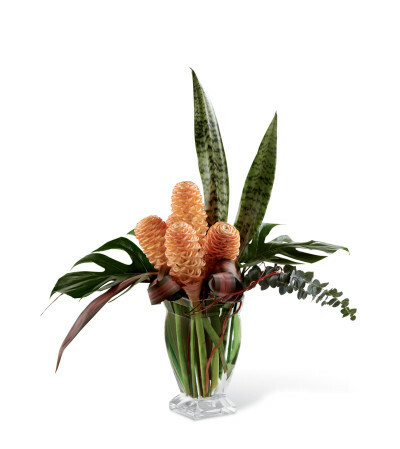 Presented in an appealing clear glass vase, this bouquet is a wonderful way to say thank you or wish them congratulations.